Mike is the founder and owner of PokerSite.org, and does the majority of the work on the site. Since 2008, Mike has operated the site and been a "Jack of all trades". He handles the SEO (search engine optimization), site planning, delegation of tasks, and overall direction of PokerSite.org. Also, Mike handles the writing for the most important pages on our site, including the poker site reviews. Besides PokerSite.org, Mike also operates other websites like InternetCasino.org and InternetPoker.org. Tom spent a few months with the PokerSite.org team in 2008, and occasionally contributes to the site to this day. Tom is a poker writer, as he has years of experience playing online poker, and knows sit and go strategy in and out. He also handled some marketing tasks for the site including basic SEO. Tom is currently in college, and plans to graduate sometime within the next 15 years. At that point he plans to head to Las Vegas, where he will pursue a full time career playing poker, drinking, and chasing cocktail waitresses. Pat also spent a summer working with PokerSite.org in 2008, and occasionally contributes to this day. Pat is an online poker professional, and also rails "TheGar19" part time. Butler wrote many articles for our site, including some of the advanced strategy pieces where he spilled his drunken poker secrets. Butler is currently engaged to be married, and after graduating college will do the sensible thing and go to grad school. When Mike and Tom get silly at the bars, Pat makes sure that everyone makes it home safe. If you would like to get in touch with the PokerSite.org team, contact us. Also, please note that if you are contacting me to... * Exchange or buy links * Get your poker room listed on my site * Trade content * Or do anything else with the intention of fooling Google ... don't expect a reply. I get ridiculous amounts of junk email from poker webmasters and affiliate managers, so please only contact me if you have a legitimate question or concern about my website. PokerSite.org is not an online poker room, and does not encourage or condone online gambling in any way, especially in jurisdictions where players cannot legally play. We are an independent provider of poker related content, and do not guarantee the accuracy of any information listed on this site. We also update our site daily, so we reserve the right to change the content at any time. PokerSite.org will not be responsible for any errors that result from the use of our site's content. Our content is only for informational purposes, and shouldn't be used as an absolute guide. Many of the poker sites we have listed will change promotions without notifying us, so from time to time we will be listing an offer that is no longer active. In this case, we apologize, and will fix the error immediately upon notification. Every page on this site is copy protected by PokerSite.org, and any unauthorized use of our content, images, or source code is a violation of copyright and trademark laws. If you decide to sign up for a poker room through our site, be advised that we are not responsible for what happens after that. Always be aware that you can lose money at online poker, and it is no one's responsibility but yours. 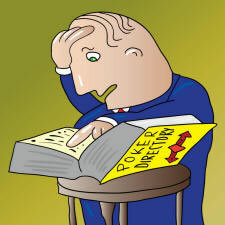 Here at PokerSite.org, we aim to provide poker players with the best poker content possible. Our goal is not to manipulate or sway players in the wrong direction. Every page on this site has been written in an unbiased manner, and our editors are always attempting to improve our site. Your privacy while viewing PokerSite.org is always ensured. We use no cookies on our users, and don't record any information about you while you view our site. We do use Google Analytics to better understand what pages users view, and how they arrived at our site, but this does not record any personal information about the users - just what pages they viewed, what links they clicked, and how they got to our site in the first place. If you ever receive an email claiming to be from PokerSite.org, please disregard it, as we never send unsolicited emails to our readers. If you have any questions about our site, please contact us. This page is where we show you a lot of our competitors, mainly because they have some amazing poker content for our readers. Most of the sites below are purely informational, not actual poker rooms, and most of them have information that you cannot find anywhere else on the Internet. Make sure to check out each site because their content is just as good as ours. Only the best sites on the Internet make this page, so if you go to any of these sites you can expect a top notch experience. If you feel like your site is worthy of being listed here, please contact me with your link details. I promise to review your site and either add you or reject you within 48 hours if not sooner. Again, I only link to quality sites so if your site doesn't offer something unique for my visitors I'll have to turn you down. Here are some of our featured gambling sites. These are the cream of the crop, so we decided to list them here instead of their place in the regular directory. Check them out, and enjoy. InternetCasino.org is an up and coming website that reviews all of the best Internet casinos. Instead of focusing on poker, the owner of this site has decided to review casinos with games including blackjack, slots, craps, roulette, video poker, and more. The site includes reviews of Internet casinos and "how to play" articles that teach you the major games. FuzionPoker.com is an online poker portal offering a daily poker news and gossip blog, as well as poker bonus codes and bonus guides. You can receive sign up bonuses at major poker rooms like PokerStars.com, and also can learn how the bonuses are structured and how you can clear each sign up bonus. Check out the site for more info.